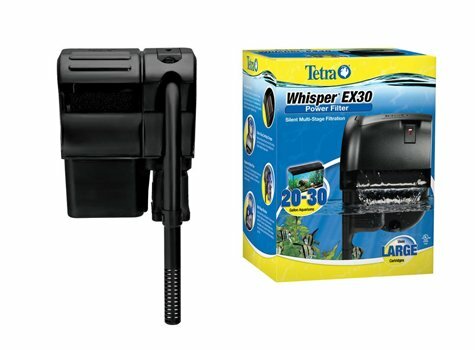 The Tetra ‘Whisper’ fish tank filter provides a great choice for up to 330 gallons per hour filtration, ranging from just 3 to 70 gallons tank size. This review looks at the range and what you can expect from the Whisper IQ, EX Power, Internal Power and Whisper Power filter. An aquarium filter not only cleans the water your fish breathe but also helps keep your tank looking pristine. But do users trust their tank to Tetra brand’s filtration products. 1 What are the Tetra filters? What are the Tetra filters? These are primarily made for smaller aquariums (under 20 gallons) and are placed inside the aquarium to provide water movement. Typically use disposable cartridges and hang on the back edge of your aquarium. Often known as Hang on Back filters or HOB filters. 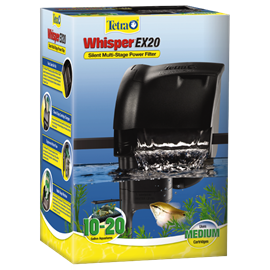 Whisper IQ filters use StayClean technology for easier maintenance and healthy fish. A sound barrier decouples motor from filter to give you the quiet you’ve always wanted. With better materials and impeller upgrades, these filters are made to last. It’s time for a filter that’s easy to use and easy to clean! Whisper IQ technology gives you a filter that is does the job while staying quiet. The SoundShield provides a barrier between the motor and filter to minimize noise. Combine that with vibration dampening technology and these filters give you quiet power to keep your tank clean. Generating, on average, sound levels of less than 40 decibels, Whisper® IQ is one of the quietest filters on the market. The quality inside includes a range of improvements and unique design innovations that enhance performance and increase customization. Improved impeller construction for enhanced reliability. Oxygenates the water and agitates the surface. Telescopes up and down to fit your aquarium’s needs. Reduces flow for Bettas, plants, feeding or other low-flow needs. Cultivates aerobic bacteria that remove toxic ammonia and nitrite. Helps keep aquariums cleaner, longer. Submerged motor starts up with no priming required. A soft barrier separates the motor from the filter to minimize noise. Designed for freshwater or marine aquariums, Whisper IO is elevating the aquatic experience through sound design. Choose from a variety of sizes, including 10, 20, 30, 45, and 60 gallons. 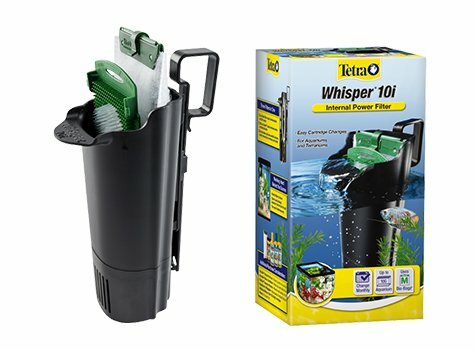 Whisper IQ 10 use Whisper Bio-Bag Cartridges with Stay Clean Technology (Unassembled) Medium Cartridge. 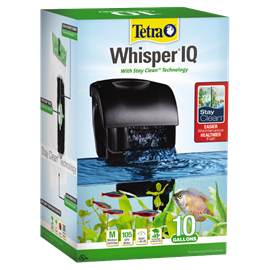 Whisper IQ 20, Whisper IQ 30, Whisper IQ 45 and Whisper IQ 60 use Whisper Bio-Bag Cartridges with Stay Clean Technology (Unassembled) Large Cartridge. Instructions: Whisper IQ – Link click HERE. The intuitive filtration system. 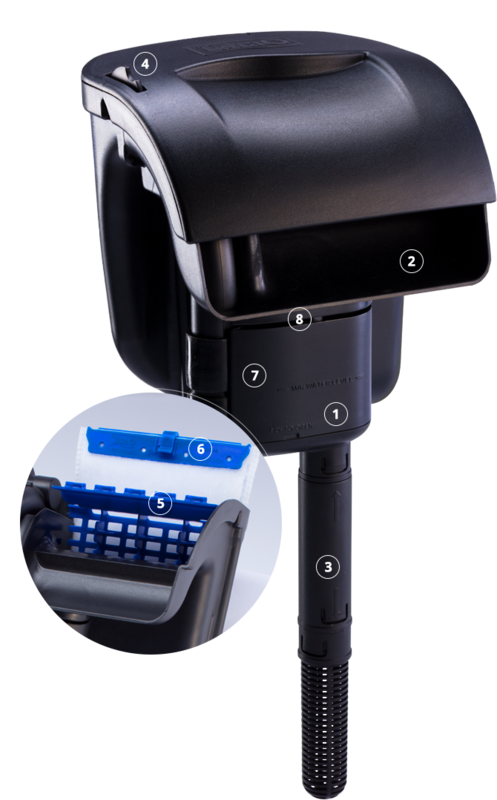 Every feature of the Whisper EX has been designed with simplicity and convenience in mind. This is truly the intuitive filtration system. Simple Set Up – Ready to go right out of the box. No priming required. Scientifically Engineered Water Flow — Continuous flushing action prevents debris build up. Instructions: Whisper EX Filter – Link click HERE. 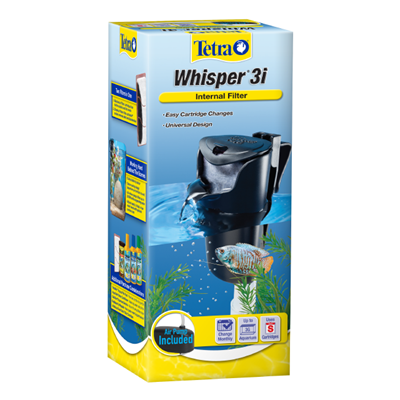 The Tetra Whisper internal aquarium filter is the ultimate in quiet, convenient 3-stage filtration. The dual-sided mesh of the Bio-Bag catches debris and fish waste while the activated carbon absorbs odors and discoloration. Biological filtration is provided by the Bio-Scrubber. Bio-Scrubber’s anti-clog design provides complete biological filtration with the convenience of less maintenance. Because the Bio-Scrubber has a solid back, water is forced to flow evenly over the bacteria-rich bristles. The filter is submersible. Instructions: Whisper Internal Power Filter 3i – Link click HERE. Whisper Internal Power Filter 10i, 20i and 40i – Link click HERE. Three filters in one for cleaner water and healthier fish. 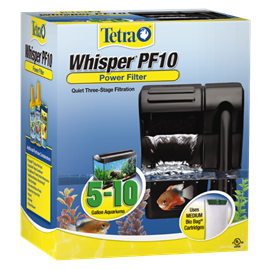 All Whisper power filters use easy to change Bio-Bag filter cartridges which remove particles floating in your aquarium while also removing discoloration and odors with its activated carbon. Biological filtration is provided by the Bio-Foam. Instructions: Whisper Power Filter – Link click HERE. Tetra has been around since 1951. Tetra offer thousands of products and serve more than 1,000 dealers worldwide. They have three main brands: Tetra, Tetrafauna, and TetraPond. Tetra is now owned by Spectrum Brands Holdings, which also owns Marineland and Instant Ocean brands. Consumer Support can be reached at 1-800-526-0650, 7:30 a.m. to 5:30 p.m. EST, Monday through Friday. Ask Tetra is a great way to share information with fish enthusiasts just like you.